The combination of on- the- job training coupled with formal education is the perfect formula for success in the lawn care business. In 1987 Carmelo Castillo began his career working in southwest Florida with a few lawn services enterprises and various nurseries while going to school to learn more about plant growth and maintenance, different types of soil, insects, funguses, worms, scales and the recognition of the various types of grasses and how to take care of them. Upon completion of his studies Carmelo started Castillo Lawn Service in 1995 with 8 initial customers. Thanks to excellent service and care, Castillo Lawn Service received quite a few referrals from existing clients and soon the business grew to have 120 clients in Naples and Marco Island. We have a full and capable staff dedicated to providing excellent lawn services and care. We do projects ranging from one residence yard to commercial office complexes to condominium associations. No job is too small or too big. 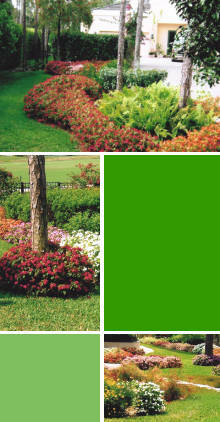 Call us for a free estimate for your lawn or landscaping needs. We are here to serve you.